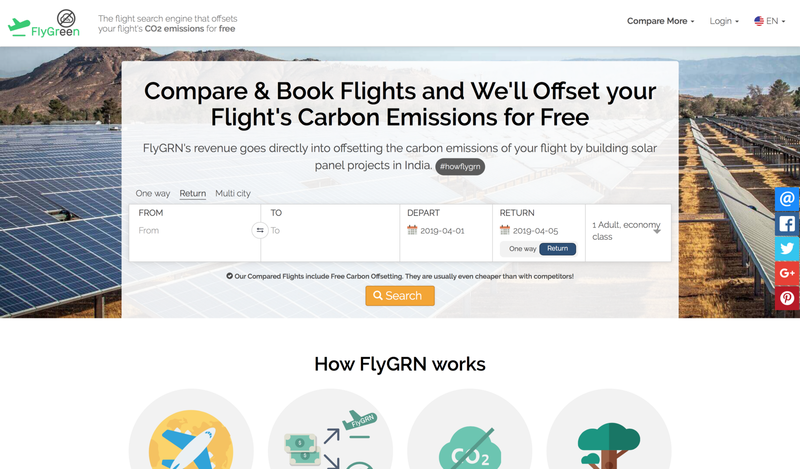 FlyGRN — founded in August 2018 — is a search engine that compares millions of flights of different airlines worldwide and (partially) offsets the CO2 emissions of flights booked through its website. In doing so, the website hopes to take a big step in reducing CO2 emissions of the aviation sector. One of the reasons why FlyGRN is created is due to frustration about a lack of transparency of the current CO2 offsetting services. When offsetting flights, it is often unclear exactly what happens with the CO2 compensation and where the money goes to. FlyGRN attaches great value to providing as many details as possible on the CO2 certificates. If you book a flight through the search engine, you will receive an online CO2 certificate with a personalized certificate number. This certificate contains transparent information, such as which offsetting projects are supported and where the money ends up. 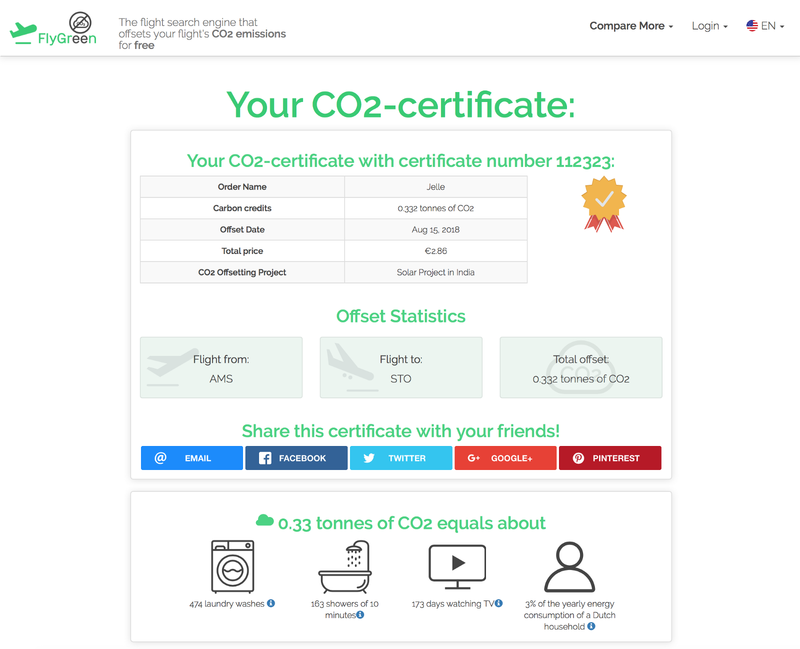 If a visitor has booked their flight elsewhere, FlyGRN offers the option to manually offset the CO2 emissions with their CO2 calculator. Example of a carbon certificate. In this case the customer supported building a solar panel project that displaces coal energy in India, thereby balancing out the carbon emissions of the flight. Aviation is currently responsible for 2% of the total CO2 emissions per year. It is expected that — if nothing changes — this will double in twenty years. 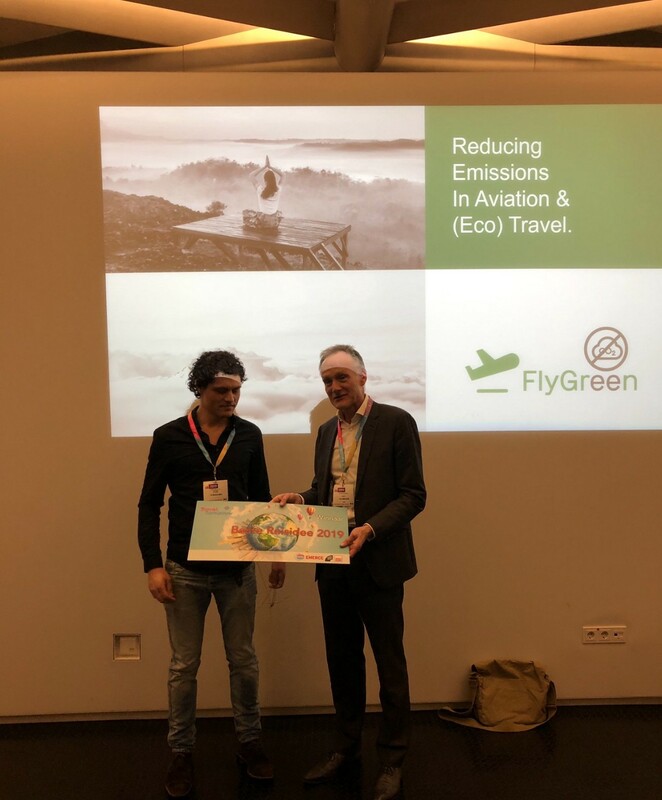 By (partially) offsetting the CO2 emissions of a booked flight for free, FlyGRN takes an important step in reducing emissions in the travel industry. FlyGRN is a Flight Search Engine that searches through millions of flights and automatically offsets the carbon emissions of the flight partially or completely.